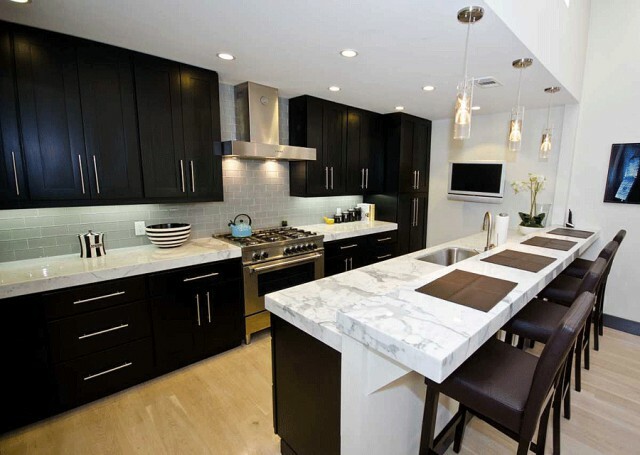 Are you renovating your kitchen or working on a project for a client? Maybe you’re a builder or designer who is completing a brand new home. 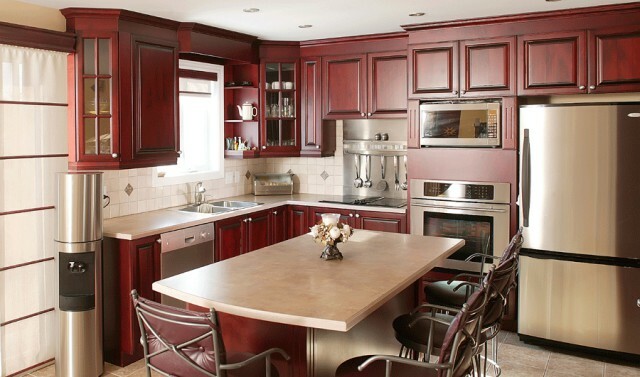 Whatever your job or project, Winnipeg Cowry Cabinets LTD has the kitchen cabinets for you. Our Winnipeg cabinets are designed for modern or traditional kitchens, small gallery-styles or large eat-in rooms. Searching for affordable kitchen cabinets? Winnipeg premiere cabinetry company, Winnipeg Cowry Cabinets LTD has a selection of designs to fit your budget. Whether you’re dealing with your own budget or working with a client’s requirements, we can provide high-quality cabinetry to fit any design style. We have a manufacturer in China that provides us with exceptional cabinetry in a variety of designs and colours, all made of solid maple wood. You can have the same stylish Winnipeg kitchen cabinets you see in the home decorating magazines for a fraction of the price. Another reason Winnipeg Cowry Cabinets LTD stands out from the competition is because we provide one-week delivery for our cabinets. Place an order for your kitchen cabinets and you’ll receive them within 5 to 7 business days, ready for installation. No more project delays because you’re waiting on the cabinets to arrive. You won’t have to tell your customer that they will be without their kitchen for weeks. Your family will enjoy eating in the kitchen of their dreams in less time because of our fast delivery. How can we offer such amazing delivery times? We have a 25,000 square foot warehouse in Greater Vancouver which enables us to fulfill orders in less time than the competition. With a low price and fast shipping, you may expect a lower quality product. After all, you can’t have everything, can you? At Winnipeg Cowry Cabinets LTD, we believe you can and should expect to have it all. And we’ll do everything we can to prove it to you. Our cabinets are made of solid wood, finished on the inside and out and feature concealed self-close hinges. One of the best reasons to choose Winnipeg Cowry Cabinets LTD is because we have a 10 years warranty on our cabinets and lifetime warranty on our hardware. We’re also your one-stop shop for kitchen cabinetry. Shop here for the cabinets, countertops and fixtures to ensure everything matches in style and fits correctly. It also saves you valuable time. Need professional installation? We provide it. We also provide the Kitchen Cabinet Installation instructions for those who prefer to handle projects DIY. No matter whether you’re looking for a traditional style or seeking a more contemporary flair for your kitchen renovation, you’ll find it here at Winnipeg Cowry Cabinets LTD. We take care of you from initial measurements to selecting the right design to delivery and installation. If you want affordable kitchen cabinets that don’t sacrifice on quality and are delivered within one week of order, contact Winnipeg Cowry Cabinets LTD. We’ll help you create the most amazing kitchen you could imagine.